PewDiePie’s Tuber Simulator is a new Android and iOS game by Outerminds, that allows you to follow the footsteps of one of the more popular YouTubers out there, PewDiePie. The game lets you create your own “pocket Tuber,” meaning your own virtual YouTuber, making your videos and gaining more views and subscriptions. These views and subscriptions will, in turn, allow you to buy new furniture, clothes, equipment, and pets, and you can earn more in-game currency by completing the available quests. 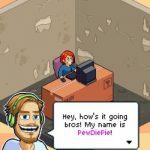 You can follow your favorite players, trade gifts with friends, play mini-games, and enjoy the voice talents of PewDiePie himself and the game’s “amazing” chiptune soundtrack from the same guy who created PewDiePie: Legend of the BroFist’s soundtrack. That pretty much summarizes the game’s features, but how can you make your pocket Tuber the most successful one out there, and make him or her so popular that they can legitimately challenge PewDiePie’s supremacy in the YouTube scene? Read on, as we shall show you the answer to all these questions and more in this PewDiePie’s Tuber Simulator strategy guide. It won’t be easy becoming an uber-popular YouTuber, but if you follow these tips and tricks, you just might be. You may be excited at first to create your first-ever in-game video, but before you do that, make sure you’ve checked all your options first. Look at the categories available, and compare them against whatever is currently trending. By choosing trending categories, you can get up to 50 percent additional views and subscribers. And if you’re able to create a video that’s in line with two, and not one trending category, you’ll get twice the boost in terms of both viewers and subscribers. Remember that you want to go with what’s popular, so that your videos can live up to their potential and get as much attention as possible. If we are to suggest a strategy for creating videos, you may want to go with high-level Trending topics that you’ve sufficiently leveled up, then go with a mix of one trending, one high-level, two trending, or high-level genres that have not been leveled up. There really is no set rule of thumb; just make sure you’ve got at least one trending topic chosen so you can ensure yourself of a lot of views. You may find them very irritating, especially when they pop up in the middle of a video you’re watching on YouTube. But they’re Internet equivalents of the commercials you see on TV, and it’s what helps pay the bills for a lot of popular YouTubers. Likewise, we suggest that you watch the ads in the game, regardless of what type ad it is. The first type of ad can be accessed over the Boost button while you’re in the process of making a video. Watching the ad will add to your Views total, with Views being your in-game currency. The second type of ad is also important, as it allows you to unlock new quests, which, in turn, earn you some juicy rewards for your troubles. 3. Choosing A Niche – What’s It All About? 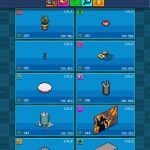 One of the key mechanics in PewDiePie’s Tuber Simulator is the niche mechanic. What does this mean, and how can you work on improving in that particular area? For starters, you could work on a niche by buying items related to that niche; go to the Shop, click the first icon, and tap on the desired category. Keep on buying items related to that category, even if they’re duplicates, so that you can increase the level of that niche in question. It’s also possible to improve the knowledge and potential benefits per niche. Go to the Knowledge Tree, and spend your Brains (more on that later) to level branches up to level 10. Once you’ve met the criteria for number of subscribers, spend more brains and level the branch up again. That’s going to help you get a whole lot more views and subscribers each time you create a video corresponding to that niche. As you may expect, it’s very hard to be an expert at every niche that’s available in this game. You may think that it’s a good idea to focus on all the niches available, but at the end of the day, it’s still better to stick to one to two niches, or about two or three once you’re at the later stages. Trying to go for all would often lead to you becoming a jack of all trades, and you wouldn’t want that; better to be spectacular in a couple areas than merely solid in all. This is a simple tip you shouldn’t overlook, as it allows you to fully appreciate the long list of features available in the game. Connect your game to your Game Center or Play Store account (depending on whether you’re an iOS or Android gamer, of course) simply by going to the channel screen, naming your channel, and connecting the game when prompted. That will also allow you to access the rooms of other players, vote for them, and complete more quests that won’t be made available simply by watching ads. Brains, as we briefly explained earlier, are not the preferred delicacy of zombies, but rather the currency you’ll be spending when leveling up in the Knowledge Tree and unlocking new branches within it. And you can earn more brains in this game by completing more quests. These quests can be completed by playing the game like you normally would, and as a reminder of what we had discussed earlier, you can unlock more quests by watching ad videos or connecting your Play Store/Game Center account to the game. 7. How Should You Work The Knowledge Tree? We’re now going to go even further in-depth into the Knowledge Tree, but the thing here is that there are myriad branches to choose from. In other words, it’s a case of so many branches, so few Brains. So what should you try to max out, and how should you handle the other aspects of the Knowledge Tree? One good ideas would be to work on Streaming. This branch can increase the number of views and subscribers you get, even if you’re not playing the game. Work on this as you likely won’t be spending most of your day on the game anyway, but rather taking time out to sleep, or to focus on the rest of your day. Focusing on Streaming is just one of the ways you can make the right upgrades in the Knowledge Tree. You can, for instance, upgrade the Views Boost category, which improves your views totals by 25 percent per upgrade. This is a good thing to focus on if you’re trying to stack up on views early on in the game. We suggest getting Views Boost to level 6, even if it can be more productive to boost a branch belonging to a category. Speaking of that, you can add a level each to the other available categories; that’s going to get you 50 percent more views per upgrade. This is a good strategy to employ if you consider that you won’t always have a chance at the genres you really want to focus on. We wouldn’t always recommend this, but while it’s still available and hasn’t been nerfed, you might want to give it a couple of tries. We’re talking about the time lapse cheat here, and just in case you forgot how to do this, you simply have to go to your phone’s settings, change the time by setting it a few hours forward, then returning to the game. That’s going to allow you to collect more streaming views, complete existing deliveries, finish creating videos, and do other tasks that normally take a while in real-world time. 10. What Are The Best Items To Purchase? To reiterate what we told you in an earlier tip, you should focus on buying items belonging to the niches you’ve decided to expend you energy on. Keep on buying these items so you can level up that genre, even if they’re duplicates. But to add to what we had said earlier, you should occasionally purchase items that don’t belong to any specific category, as they work toward leveling up your character. If your Tuber is leveled up, you’ll be able to unlock rarer, more powerful items, and unlock certain features. 11. Is It A Good Idea To Play The Mini-Game? 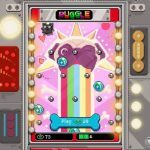 PewDiePie’s Tuber Simulator includes a mini-game called Puggle, and you can spend some views to play it. It’s advisable to play this game occasionally, and more specifically when you’ve got a long waiting time for a certain item. Take note that that 10 percent reduction from 10 minutes only cuts the wait time down by one minute. That reduction slashes 12 minutes off two hours (120 minutes), so play Puggle in the latter situation, rather than the former. Once in a while, you’ll see an eagle appear on your screen, and it’s going to make a sound. That makes it necessary to make sure you’ve got your sounds on in the game, so you can get a heads-up of a few seconds before the eagle actually appears. Don’t worry if you miss it the first time around, as you’ll see it emerge from the opposite side of your screen. Tapping the eagle gets you various free items, including premium currency, so don’t pass up a chance to do so! 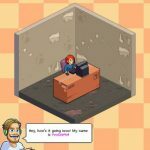 This wraps up our detailed guide for PewDiePie’s Tuber Simulator. Do you know more tips and tricks for the game? Let us know in the comment section below!